The Skinny: A ghost tries to solve the mystery of her death in this satisfactory fourth installment of the Whispering Corridors franchise. First, there was Whispering Corridors in 1998, then came Memento Mori and The Wishing Stairs, and now there's Voice, the latest installment in the popular Korean horror franchise. 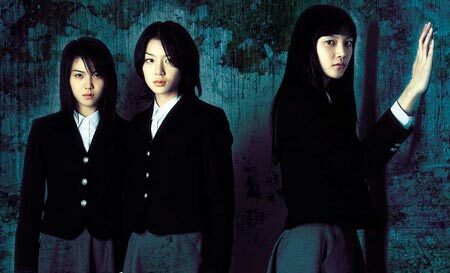 Directed by Choi Ik-Kwan, this newest film in the series continues the tradition established in the previous films, as it explores some serious supernatural activity at an all-girls school. Kim Ok-Bin plays Young-Eon, an innocent girl next door type who has a remarkable talent for singing. When her best friend Sun-Min (Seo Ji-Hye) shows up at the music room, Young-Eon has to decline her offer to hang out because she wants to continue practicing. Of course, spooky things start to happen when Young-Eon is left alone in the school, a fact which culminates in our heroine getting killed in a gruesome, yet slightly hilarious way: death by paper cut. Or is that actually what happens? The next day, Young-Eon wakes up at school, seemingly good as new. But after walking the hallways, she is alarmed to discover that her classmates can neither see nor hear her. And when objects and even people begin to pass right through her, Young-Eon realizes the shocking truth: she's a ghost. Even worse, she finds that she's tied to the site of her death. Anytime Young-Eon tries to leave the school, the environment resets around her, putting her back in the center of the building. Frightened and confused, Young-Eon turns to Sun-Min for support. While she cannot see her dead friend, Sun-Min can hear her. Of course, she's more than a little startled when her missing friend's disembodied voice starts talking to her. But after a short period of adjustment, Sun-Min turns into a Korean Nancy Drew and begins investigating her friend's disappearance and possible death. True pal that she is, Sun-Min holds out hope that Young-Eon is not dead, but only disconnected from her body, since her corpse has yet to be found. But who is the culprit? Not surprisingly, there are a number of suspects to choose from at the school. There's the brooding, slightly creepy music teacher (Kim Seo-Hyeong), who lost her ability to sing. Rumored to have had a lesbian relationship with one of her students (shades of Memento Mori), the teacher seemed to have taken a special liking to Young-Eon before her disappearance. Then there's Cho-Ah (Cha Ye-Ryeon), a Wednesday Addams-type clairvoyant assisting Sun-Min on her investigation. Young-Eon doesn't like the looks of Cho-Ah, as she seems to know more about the situation than she's letting on. And of course, there's the third and most likely suspect, the shadowy female figure that roams the hallways. Tonally, the film begins as a detective story that just so happens to have supernatural elements. One of the strong points of the film is its focus on character, as Voice explores the friendship between Young-Eon and Sun-Min just as much as it does the overarching mystery. The filmmakers do a fine job in maintaining the serious tone they begin with; one false move and Voice could have easily become a supernatural buddy comedy. But as the bodies start accumulating, the film ramps up into full-fledged horror mode, a move that provides certain chills but also begins to unravel the narrative as a whole, particularly towards the end. Voice departs from convention in the sense that, from the very beginning, one suspects that a malevolent spirit from the past is responsible for everything; the only questions are the "why" and the "how." Yet the film makes a daring break from formula by revealing that things aren't quite what they seem. Although that kind of "innovation" is commendable at face value, the alternative is no more satisfying than if the filmmakers simply stuck with the conventional ending. The problem is that, as "shocking" as the final twist is, it comes very much at the expense of the viewer. Genre films work in large part due to the audience's investment in the trials and tribulations of the film's heroes and heroines. To make a last minute revelation that devalues that investment is like playing a dirty trick on the viewer. It may make narrative sense based on the filmmakers' intentions, but it's not necessarily a move that's going to be appreciated, especially considering the extraordinarily downbeat finale that's less shocking than it is annoying. At this point, the whole Sixth Sense "big twist" is getting a little tedious.